Cleveland County District Judge Lori Walkley took the jury’s recommendation that Alton Nolen, 33, receive the death penalty instead of life in prison without parole. Jurors made the recommendation in October after finding him guilty in September of first-degree murder for beheading his coworker, Colleen Hufford, 54, inside Vaughan Foods, a food production plant, on September 26, 2014. 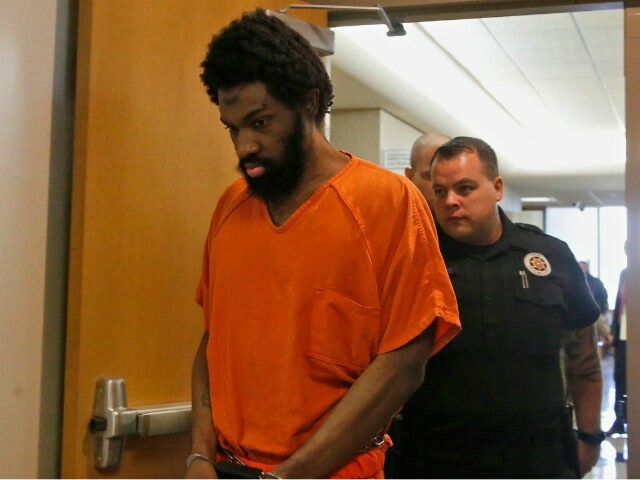 Nolen had already been sentenced to life in prison three times and 130 additional years behind bars for stabbing Traci Johnson and attacking other workers inside the plant. He crashed his vehicle into another parked car in the company lot, beheaded Hufford, and stabbed Johnson, before Mark Vaughn, the company owner, shot Nolen in self-defense. Prosecutors played recordings of Nolen’s confessing to the attacks while he was in the hospital. In one of the recordings, Nolen reportedly said that he did not regret carrying out the attack. His attorneys argued that Nolen is mentally ill, pointing to his delusional beliefs about the Quran as evidence that he did not deliberately attack Hufford and Johnson in sound mind. Prosecutors argued that Nolen knew the difference between right and wrong when he carried out the attack.